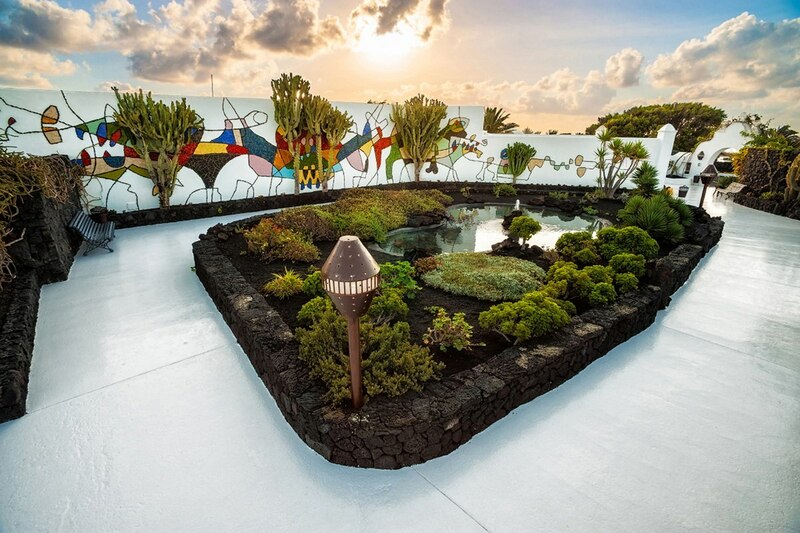 César Manrique, one of the most important of the island’s artists, will be 100 years old this 24th April. 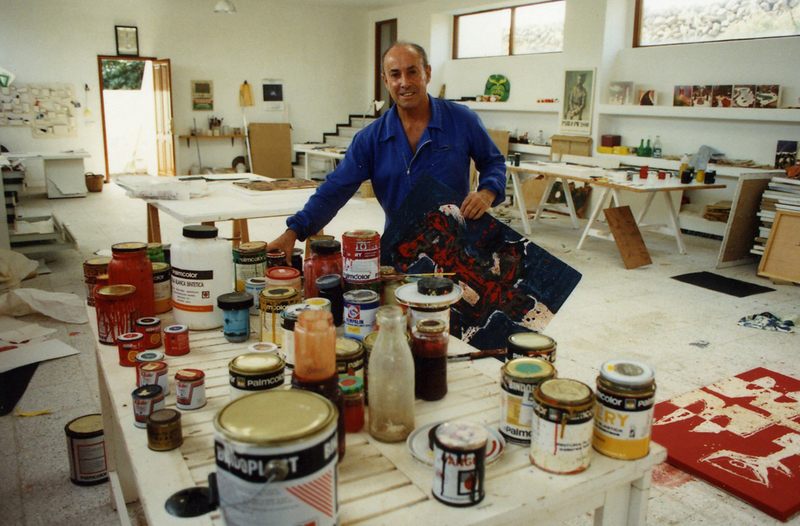 César left us an unprecedented artistic legacy, his vision for his times, his careful way of understanding art, aesthetics and nature; together they transformed Lanzarote itself into an artistic work.  Today this work continues to leave our tourists speechless when, on arriving on the island, beyond the attractive beaches and sun, they discover a beautiful tale packed with art, where everything is cared for with love and respect. The term “jameo” refers to the hollow formed when the roof of a volcanic tube through which lava ran collapses, creating a sunken opening. In this case, the tube was formed by the eruption of the Volcán de la Corona. César Manrique used his imagination to transform the hollow, turning it into a centre of art, culture and tourism. In Jameos del Agua a variety of spaces can be enjoyed, from the pool of turquoise water, the restaurant where you can sample typical island food and the auditorium unique for its geological characteristics and acoustic conditions, to the saltwater lagoon where the “jameito”, also known as the blind crab, is located, and the Túnel de la Atlántida (Atlantis Tunnel) that heads off into ocean. 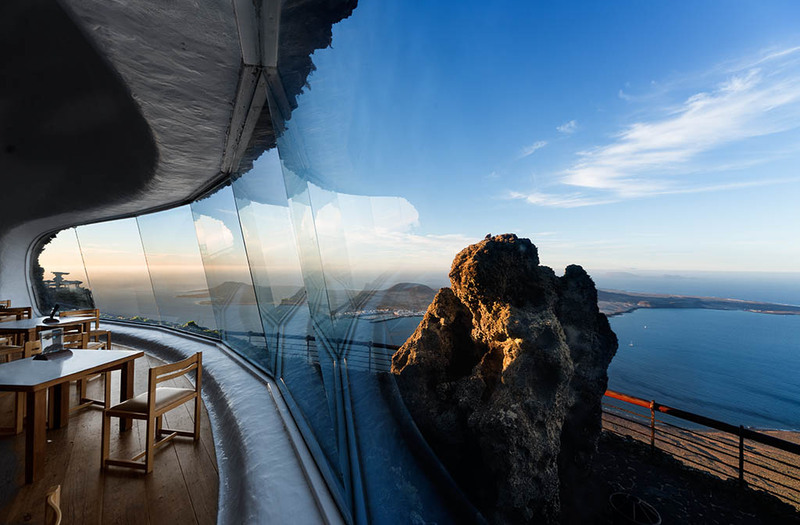 When the artist decided to settle in Lanzarote, he built his house in a natural space, taking advantage of five volcanic bubbles that were located in the middle of a lava flow. This is currently the headquarters of the César Manrique Foundation and exhibits some of the artist’s works. The Mirador del Río (Rio Viewpoint) is located in the north of the island, on the Risco de Famara. Here the artist created an innovative work formed by two buried domes, integrated in the landscape to diminish the visual impact and making use of an old coastal artillery battery. It offers a spectacular panoramic view of the Chinijo Archipelago, as well as a restaurant with several terraces and large windows. In order to conserve this natural space, preventing the deterioration that would be caused by the passage of humans, César Manrique incorporated his work into nature, adapting the place for tourism, while respecting the environment at all times and using contemporary artistic language. 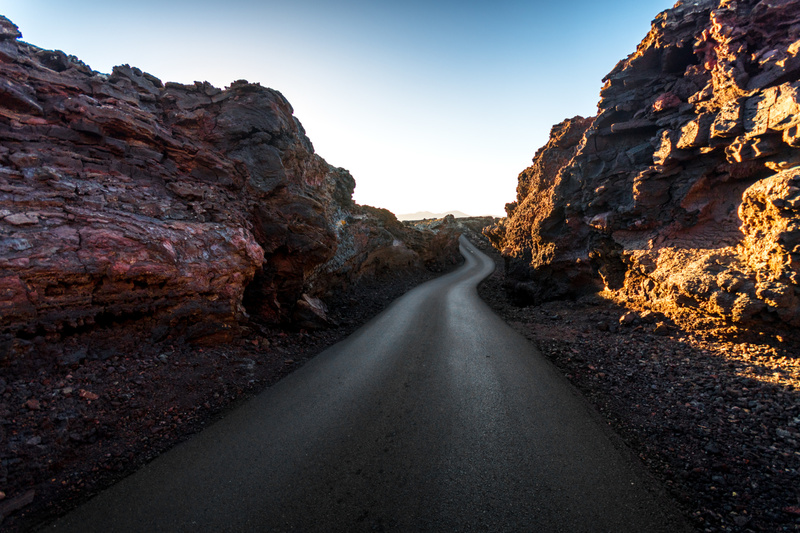 In order for visitors to get to know the habitat of the Timanfaya National Park but without negatively impacting the environment, he created the Ruta de los Volcanes (Volcano Route), in the Montañas del Fuego (Mountains of Fire). A narrow road runs through the park, built in such a way that both the physical and visual impact is minimal, making the exhibition of nature compatible with the conservation of the environment. 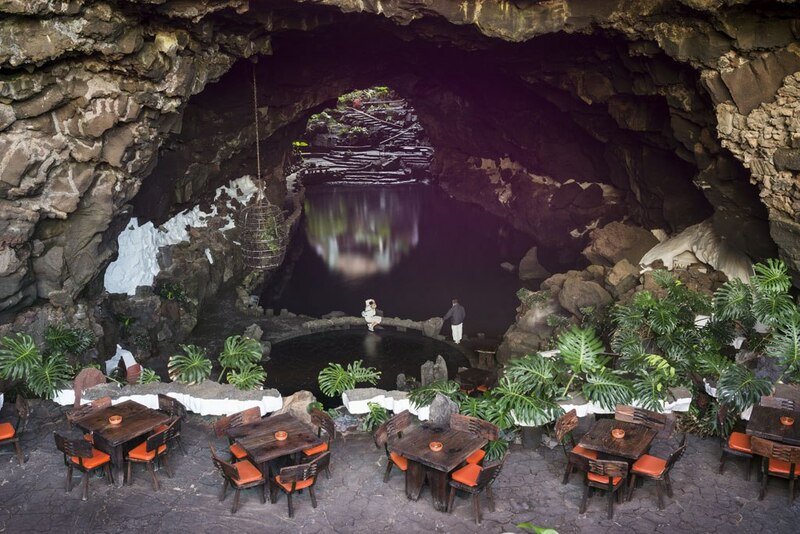 The El Diablo restaurant was also built, an establishment serving traditional Canarian cuisine. Its peculiarity is an oven-rotisserie that takes advantage of geothermal energy to cook food.  To one side there is another oven for the use of tourists who can make their own food using the energy that generated by the Earth itself. 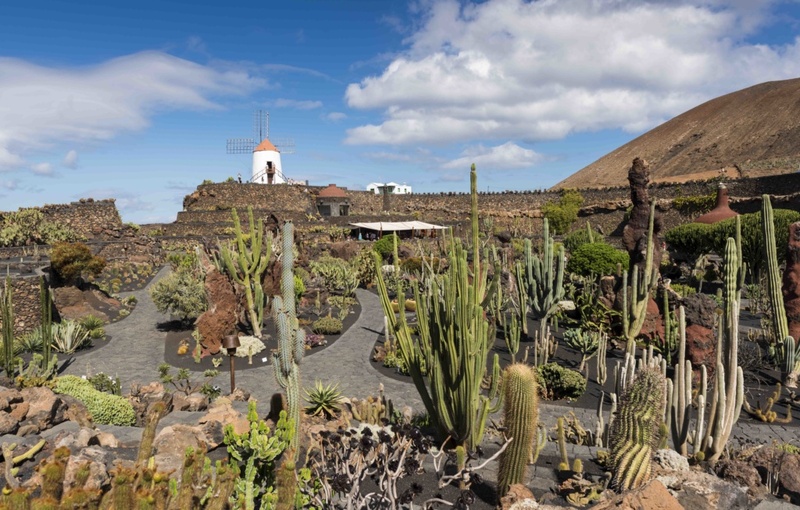 The Jardín de Cactus (Cactus Garden) was created in the former Guatiza quarry, and was César Manrique’s last work in Lanzarote. The garden is home to 450 different species of cactus, with plants from all over the world living together in the same area. 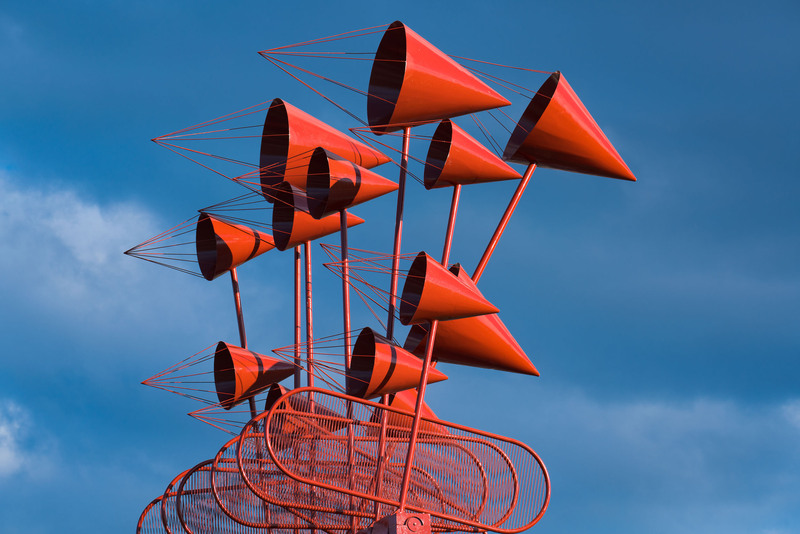 These are mobile structures of iron, composed of circles, pyramids, and other geometric figures, which are moved by the wind. César associated them with the windmills that were formerly common on the island but that over time began to disappear. 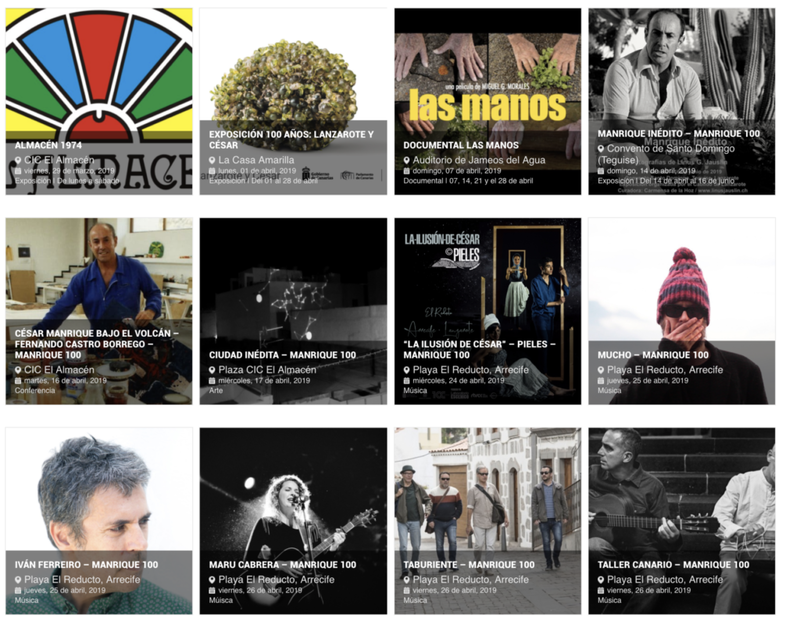 César wanted to populate Lanzarote with these substitute references to the windmill of old.